In the beginning of the interview it was all good, once Karen spoke on Cam’ron it went downhill quick. Karen has made her way to the White House so I was wondering while listening, why was she bringing up old ish? The second portion of the interview is spent talking in grave detail about her ex boyfriend and that is where she totally lost me. Karen has been in this social media game for a minute, so this was either a very calculated move or she really just didn’t think about the backlash. You’re all about bringing positive vibes to social media, yet right now you’re receiving a lot of negative backlash on Instagram. Let’s talk about it. Yeah. I’ve gotten to a point where this isn’t the first time it has happened to me. It’s all about how you use your social platform. Right now, I’m just using mine to empower people, get my entertainment and my news. Other people use their platform for different things. It’s unfortunate that cyberbullying is something that happens to 13-year-old kids in junior high and adults in the workplace. It’s something that we have to deal with as Americans. I am now a testament to it, and it’s happening to me. It’s definitely an unfortunate situation. 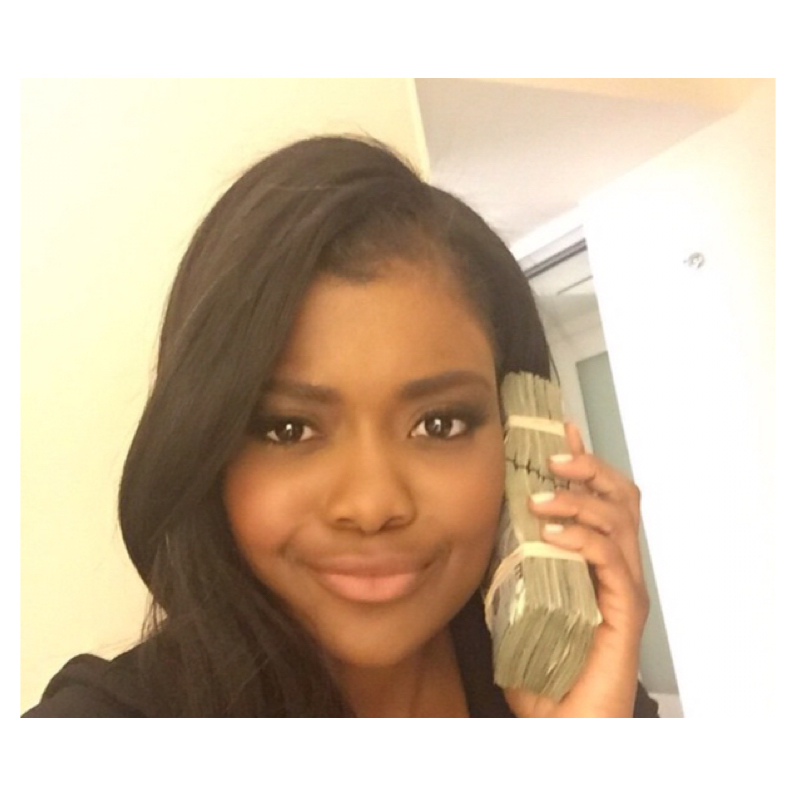 So is Karen Civil a victim of cyber bullying or a thief who tried to air someone else out and the tables turned? In the Essence interview she never addressed if she indeed did steal the money and Cam didn’t continue to drop videos of their conversation. He did however say that she better not mention his name again. In the Essence interview he was never mentioned. Well there are always three sides to a story.